Definition: Loss of bone due to inflammation. 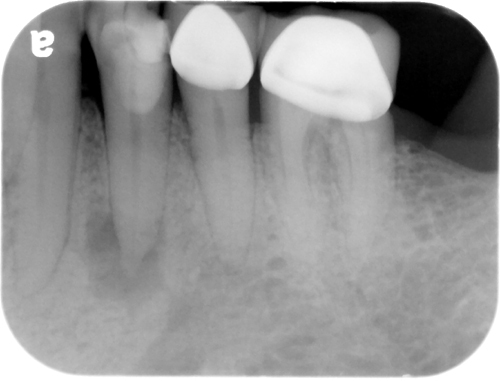 This term includes an abscess, cyst and/or granuloma as these can not typically be differentiated on a radiograph and are identified histopathologically. 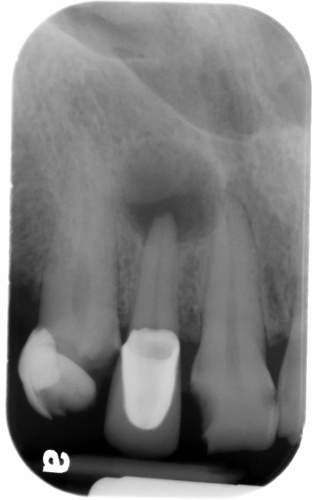 This is associated with a non-vital tooth. 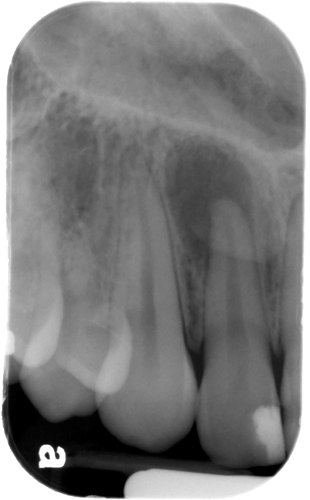 It takes 8 – 14 days for bone loss to be visible on a 2-D radiograph (periapical or pantomograph). 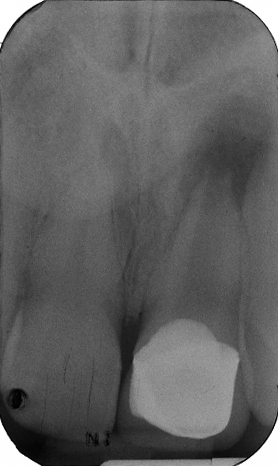 A tooth may be necrotic without visible bone loss on a radiograph. 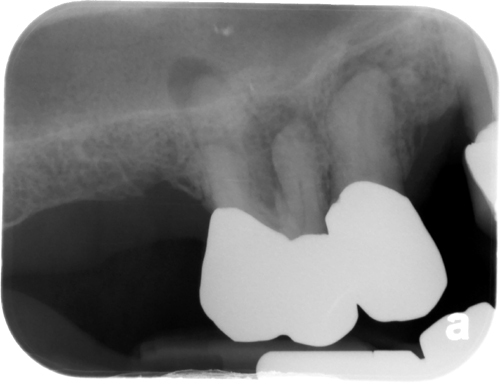 Sometimes referred to as apical rarefying osteitis or lateral rarefying osteitis based on location. Location: Associated with a tooth, typically found at the apex. 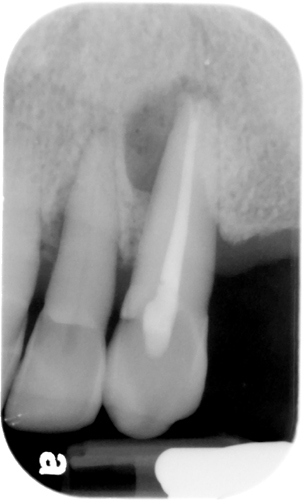 Can be found on the lateral aspect of a root when associated with a lateral canal. Shape: Round to ovoid, starts as a tear-drop shape at the apex with the lamina dura and periodontal ligament space pulling away from a tooth apex or source of inflammation.